Want to get and stay organized? 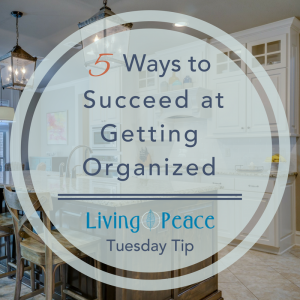 In today’s Tuesday tip, Living Peace professional organizer Gabriela Burgman gives us 5 ways to reach organizing success. Get your projects completed, your spaces organized. Follow these 5 tips and you’ll be doing a happy dance. 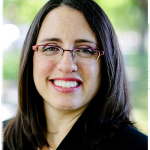 Gabriela's mission is to empower her clients with the tools and motivation they need to get and stay organized. Prior to becoming a Professional Organizer, Gabriela worked in a photograph archive as well as several university archives, assisting offices, administrators, and retiring academics to sort through their files for preservation or disposal. She became a professional organizer in 2007 working as an independent consultant before joining Living Peace. When Gabriela is not learning new ways to organize photos or paper both physically and electronically, she is spending time on what matters most to her: visiting with family and friends, reading a good mystery book, or cooking a tasty meal.